Winter may be the loneliest time of the year for most people if not all. The decreasing temperatures outside hindering me from getting those muscles working is a big downside of breathing the cold air. The fear of getting chills while enjoying outside is also one thing that keeps me thinking of whether or not I must push through my plans throughout the day. Being a cyclist, I often think of ways on how to get active with my bike through the winter, even if this is not conventional at all. 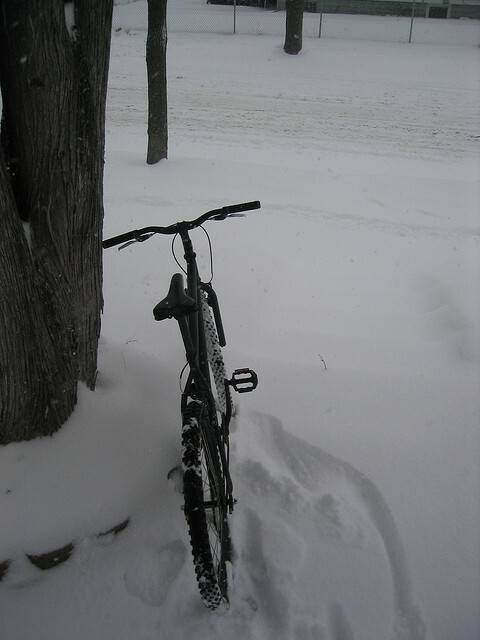 One time, I realized that it is not impossible to pedal during the cold. In fact, it is more beneficial for my health. As many people may have thought that I can get severe colds with having to stroll with freezing temperatures, I think otherwise. I think that if I get too sedentary during winter, I could not be so sure of my health status. Hence, I preferred and decided to pedal my bike even in the cold and eventually I realized that I already conquered freezing temperatures! If you are planning to do the same, then here are five reasons to convince you that you must get active and bond with your two-wheeled buddy during this cold season. You can definitely burn more fats! According to researchers, there are two types of fat that can be seen in the body. The white fat and the brown fat. The white fat is the kind that brings outward bulges to the tummy. This is the one responsible for increasing one’s body weight when intake is more than what is expected for the day. This kind of fat is unhealthy as it can cause various health problems. The less known kind of fat, on the other hand, is the good fat or the brown fat. This type of fat is packed with the energy-producing mitochondria which fuel those who are into active sports. The advantage of having brown fats over the white is that the former actually burns out the latter. With that, a lower body mass is achieved. Getting more browns takes a lot of determination as it accumulates only through aerobic exercise. However, here is one way that you can have these browns in as easy as 1,2,3. Frequent exposure to cold can allow this good fat to multiply thus biking during the winter is like hitting two birds with one stone! The development of Seasonal Affective Disorder (SAD) has a lot of predisposing factors. You may never know when you get this kind of depression. Here is a thing, try getting active during the winter and you will surely decrease your risks for developing SAD. Adding up to the rush of blood flow when biking, the taste of fresh air and the inspiring sunlight can definitely improve your mood. Try feeling the cold air come into your nose and the fresh breeze from the trees nearing your face. Of these and more will be the exact solution to those mood changes. Having heard of getting more predisposed to cough and colds during the cold season? Well, think again. 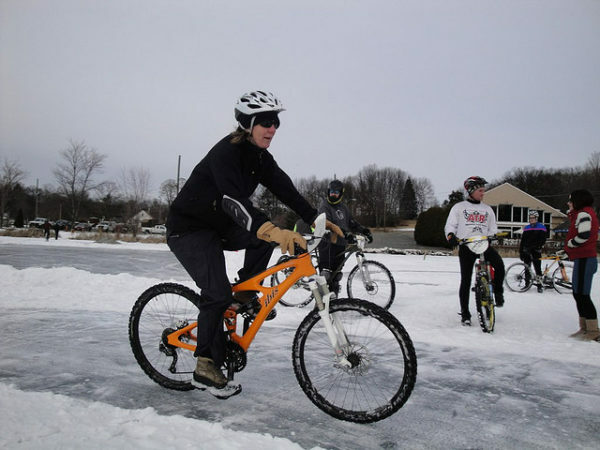 If you choose to bike and conquer the winter, then getting sick is never an option. This is because according to researchers, riding a bike can boost your immunity because the immune cells keep going rush into your bloodstream, thus decreasing your chances of getting sick. Studies show that those who do regular exercise can basically lower their chances of having simple sore throats and colds by 45 percent even when they are exposed to those viruses. Aside from just biking, I also take some time to stop at cornfields and turn on my speakers then start wiggling to the tune of the music. Sometimes if I get so see stairs and steep steps, I often take the challenge of climbing unto them for a good cardio exercise. Also, taking the rough roads allow me to balance my ride well and at the same time strengthening my leg muscles. Doing the unusual bike lops and turns when the highway is not so busy is one thing that excites me most. In short, there are a lot of things that you can think of when you are out there enjoying the cold weather. 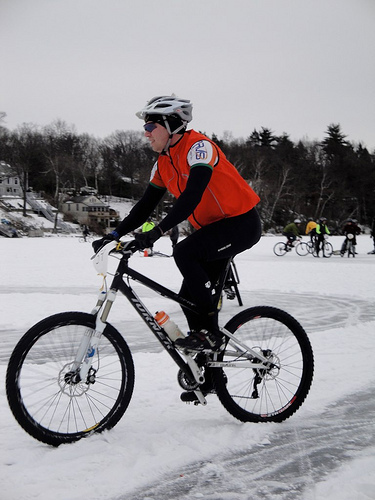 Who would have thought that riding a bike during the winter is possible? Well, as an adventurer, this may seem normal for me but for others who are into mediocre exercises, they may think that I am indeed a badass at the roads. Getting these kinds of recommendations and comments from people gives me enough joy that no one can ever take. Having people acknowledge how venturesome I am is such a fulfillment.